The new tax law drove the stock market to another new record high close on Friday. Although it's not finalized and could still change, meanwhile, you cannot wait for Congress to have it all in writing to act on cutting your 2017 tax bill by December 31. Here's what's happening that affects your wealth. 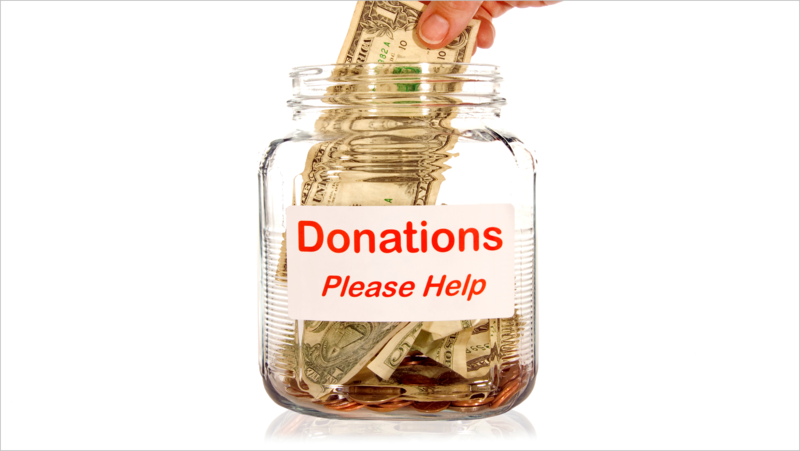 It's always important to give to charity but this year adds new urgency to charitable giving. 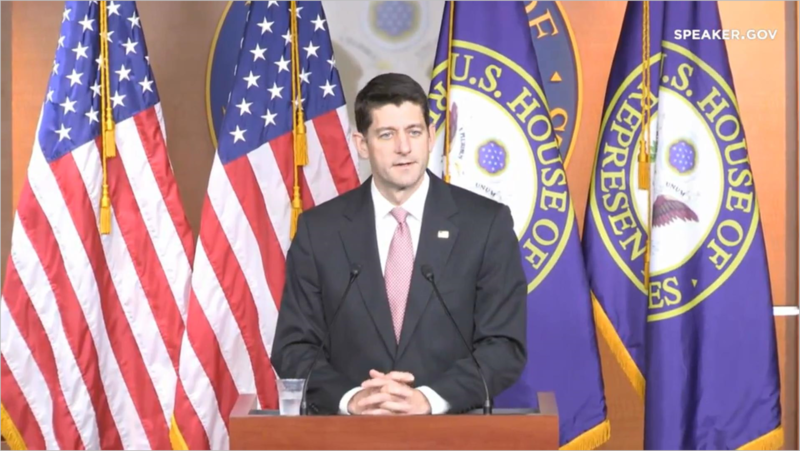 The House and Senate versions of the tax law both simplify tax-filing starting in 2018 by eliminating deductions for charitable contributions unless you itemize when filing. This worries charities because fewer individuals will have the tax incentive to give, though the big donors are likely to retain deductions and continue to give. If you now itemize deductions every year but the final tax law eliminates your itemized deductions in 2018 for state, local and property taxes, and mortgage interest, and you know you will be filing in 2018 using the standard deduction, which is expected to double to $24,000, then make as much in charitable donations by the end of 2017 before you are disqualified from taking the deduction. If you have wealth concentrated in a single stock, the Senate version of the tax bill would end a tactic allowing you to choose which "lot" of securities to sell. 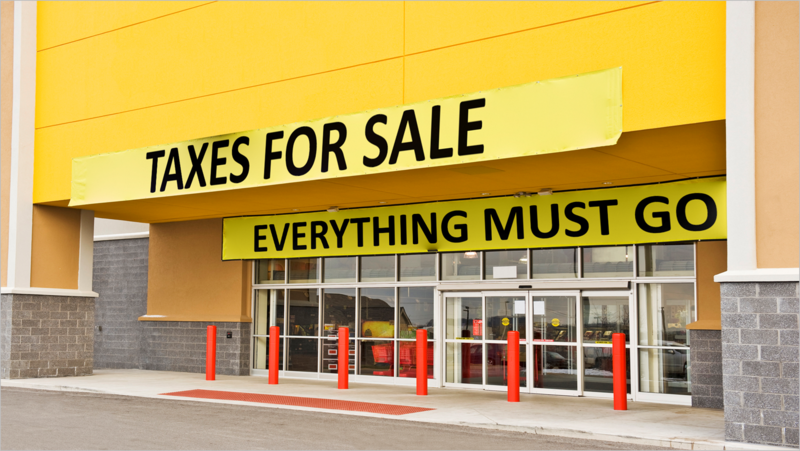 The Senate version of the law means those with big stock holdings in a single company that have been purchased over decades need to consider carefully how to maximize the sale of lots purchased in recent years that might have losses against long-held shares with the largest taxable gains. 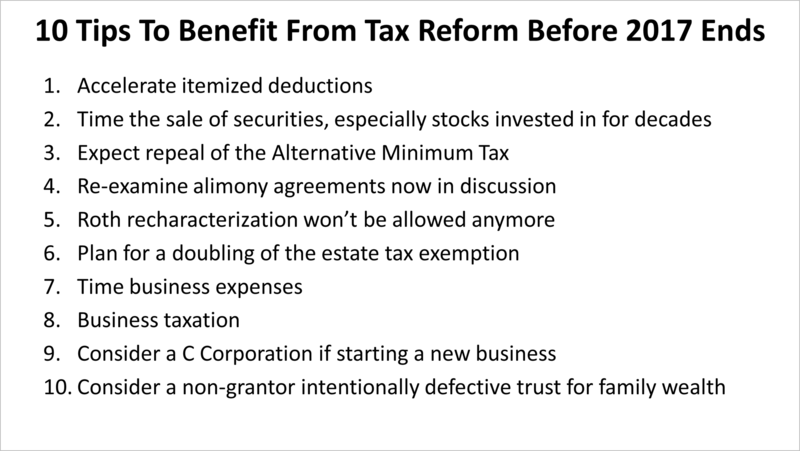 While the House version of the bill differs, the Senate version could be in the final law and you would no longer be able to choose which lots of securities to sell to minimize your tax on the sale of securities with capital gains. Please be in touch if you think you might be affected by this change as it requires careful planning urgently. Federal deductions for state and local income taxes, as well as property taxes, have been permitted for decades. But under the Senate and House tax proposals, the income levy's deduction would be eliminated in 2018, and a cap on the deduction will limit property tax deductions. Loss of the state and local income tax deductions against your federal income will be felt most in high-tax places with high real estate prices and higher income taxpayers. Places like California, Connecticut, Massachusetts, New Jersey and New York have condemned the proposals, saying it will raise the tax burden of millions of households, depress real estate prices in those place, and adversely affect the retirement and wealth of millions of households that happen to be in the traditional "blue states," controlled by Democrats. 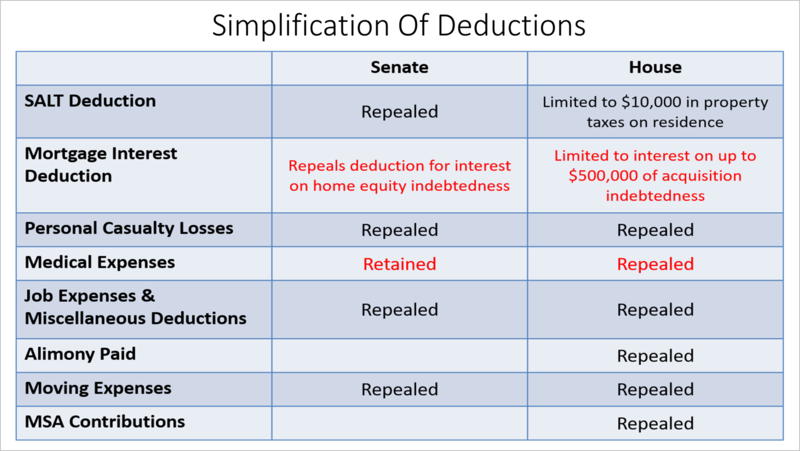 The differences between the House and Senate proposals are not insurmountable and this deduction will likely be curtailed while others will be eliminated entirely. Taking advantage of these deductions while they're still around in 2017 requires some planning by the end of the year while the exact wording of the new U.S. Tax Code is being worked out in Congress. Though the new tax law won't be finalized until late December, it would be unwise to wait for the bill to be final to take action. Too many tax savings could be at stake to risk running out of time to act. If you are affected by any of these tax situations, please call us to discuss your circumstances. With so little time before the year ends to act, please check for tax alerts delivered in our email newsletters. The reality of the tax cuts is bumping up earnings for 2018 and 2019. Wall Street analysts are now about to start revising their forecasts for company earnings upward. Generally, forecasters expect earnings in 2018 and 2019 to rise by 8%. 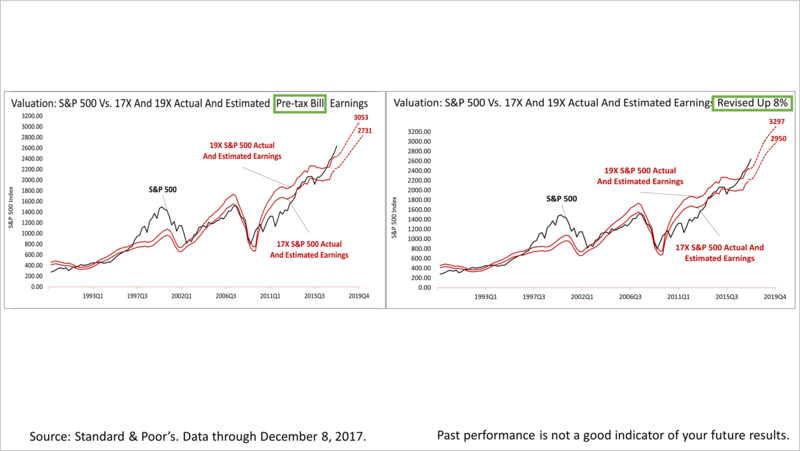 If you apply a market multiple of 19 to current earnings estimates for the companies in the S&P 500 stock index, the upper band on the S&P 500 would be 3053 and the lower dotted the shows the earnings expected at the end of 2019 would put the price of the S&P 500 at 2731, assuming a more conservative multiple of 17. With earnings expected to rise by 8%, the band rises to 3297 at the end of 2019 and the lower band rises to 2950. To be clear, the corporate tax cut is good news for U.S. stocks. Currently, the S&P 500 trades at 20.5 times its trailing earnings and looks expensive. But if you look ahead at the earnings surge about to occur because of the change in tax rules, the S&P 500 is trading at just 16.7 times its 2018 earnings. That's a low multiple - on the low end of the historical norm. Stocks, which for months repeatedly have broken record highs did so again on Friday, closing at 2651.50. 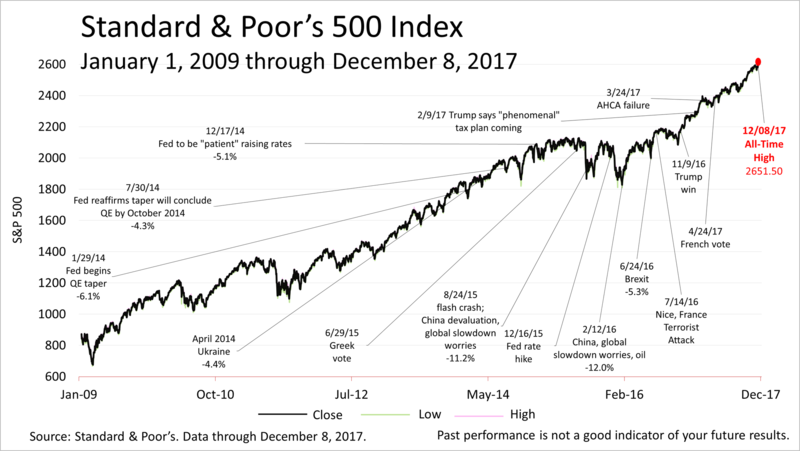 Despite some uncertainty over tax reform and a major U.S. political scandal, the Standard & Poor's 500 stock index is fulfilling its role as the key growth component in diversified portfolios and it's not priced irrationally. Still, a 10% or 15% drop could occur at any time on bad news, and the chance of a bear market decline of 20% or more increases as the eight-and-a-half-year bull market grows older. However, all major signals show economic strength is building and the new tax law is one piece of good enabling this bull market to continue, possibly for a long time and could push the price of the S&P 500 higher still. This article was written by a professional financial journalist for Perlson LLP and is not intended as legal or investment advice. ©2019 Perlson LLP. All rights reserved. © 2019 Perlson, LLP. All Rights Reserved.